The winners of this season’s superb Good Ski Guide competition will fly out to Innsbruck and stay in a luxury, 4-star hotel by the slopes on the magnificent Kitzbuheler Alps. More than 5,000 readers responded to a similar competition last year because the prize includes flights, half-board, free ski passes and the services of a guide to show them round the vast playground – set over two of the country’s bigest skidoms – Brixental and the neighbouring Skiwelt. 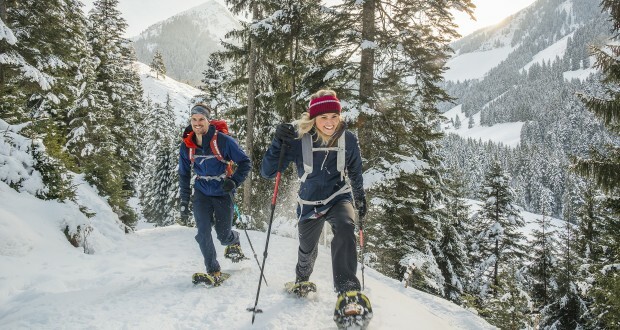 Apart from the unlimited ski and boarding possibilities there are a mind-blowingly amount of adventures on offer – from simple hiking and biking, cross-country skiing and snowshoeing, ski touring, mountain climbing, ice skating and ice climbing, or if you like putting miles under your belt do a 450 km. ski safari, then chill out at many health spas which dot the valley. Or for a day off, stay a night in the Alpine igloo village. Culture vultures can get to historical Innsbruck or Mozart’s Salzburg in an hour to see historical sites or shop in luxury stores. The Wilder Kaiser – Brixental ski world and linked Kitzbühel-Kirchberg ski resort guarantee endless skiing enjoyment in a region that generally scoops up all the Best awards from ski and travel web sites. And the local hotels regularly win cuisine awards, including 4 Gault Millau toques. All resorts are easily reached on ski or board and via motorway and railway. Ski experts will tell you that Austria, in particular the Tirol, has the world’s most-modern and up to date ski lifts, and this year sees even further upgrading of Brixental facilities, and introduction of more 8-person fast and heated ski lifts, giving you more thrills and more opportunity to tour. www.kitzalps.com/brixental . To enter simply fill out the form below, hit submit and keep your fingers crossed! Winner chosen randomly by computer and informed by email. Only one entry per household – multiple entries are negated. • Limit of one entry per person - multiple entries are barred, as are bulk, third party or automated entries. • The start date of the competition is November 1, 2017 and will finish at midnight on March 27, 2018. Prize is valid till mid December 2018. 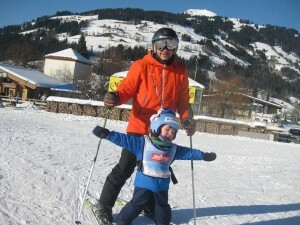 WINNERS last year’s Brixental competition was won by dad Rob Roberts, from Faversham, Kent, who entered to give his wife and four-year-old son a taste of the good life – and son Oli took to the skis like the proverbial duck and is already saving to go back to Westendorf this coming winter. Other famous winners were newlyweds Kate and Robin Tolley, from Basingstoke, who won a week at the 5-star Lake Louise Hotel in Canada. The year before seven young city of London bankers won a week of luxury – at Squaw Valley in California. Previous: The Skicircus is a class act!